February is almost here, which means Valentine’s Day is just around the corner. Instead of spending your Valentine’s Day at a crowded restaurant or hotel, try visiting one of these romantic RV destinations instead. You”re Valentine’s Day will be extra memorable when you spend it with your special someone at one of these beautiful destinations across the United States. Napa Valley, California – Napa Valley is home to some of the most famous and beautiful wineries in the U.S. For the perfect romantic getaway that’s convenient to all that Napa Valley has to offer, park your RV at the Canyon Creek Resort. This affordable resort will give you plenty of extra spending cash to set aside for wine tasting, winery tours, or a romantic meal. You can even create your own, unique private blend at the Fontanella Family Winery. Charleston, South Carolina – Historic Charleston is one of the most sought after destinations in the south for families, couples, and travelers of all kinds. The Oak Plantation Campground is just minutes away from all of Charlestons best historic plantations, shopping, golf and beaches. The campground has over 200 campsites, with clean and modern facilities. While in Charleston, have a picnic at Middleton Place along the Ashley River, or sail across the Charleston Harbor. Savannah, Georgia – Another historic gem in the south is the beloved city of Savannah. Take a romantic horse and carriage ride through the historic district’s traditional southern architecture, or check out a show at the Historic Savannah Theatre. Lulu’s Chocoalte Bar can be a sweet ending to your romantic evening, even if it’s not Valentine’s Day. 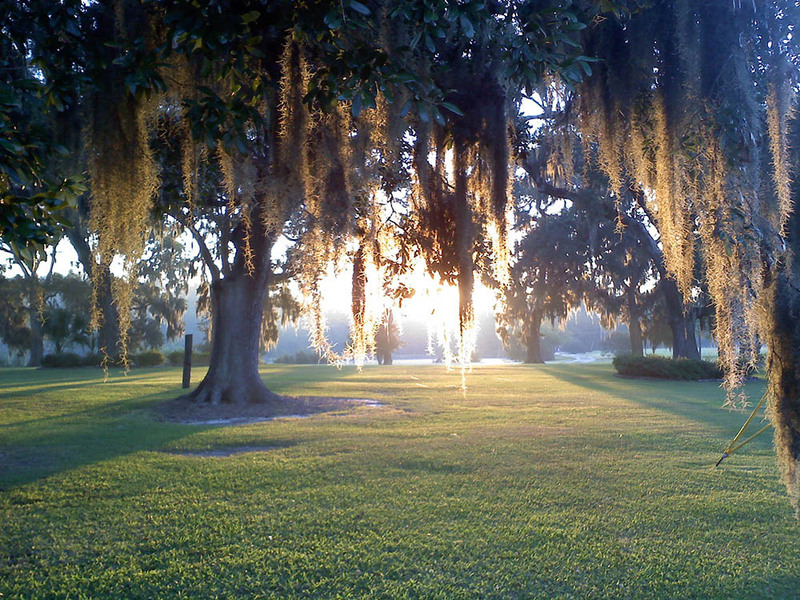 While in Savannah, stay at the closest RV Park to historic Savannah, the Red Gate Campground. This RV campground offers romantic horseback trail riding, beautiful fishing ponds, and plenty of southern charm. Knoxville, Tennessee – Romance is always in the air in Knoxville, a historic town filled with festivals, theaters, gardens, and delicious food. Explore the historic Tennessee River on a riverboat or customize a food tour just for you and your sweetheart. Make sure your camping experience is convenient and relaxing, by staying at the wooded campground of Southlake RV Park. St. Augustine, Florida – It’s hard to beat the romance of the beautiful St. Augustine. Visit Cordova Street for shopping, food, and the famous “love tree” which brings good luck to happy couples who kiss underneath it. Live music and good food are always in abundance, along with romantic tours through wineries, distilleries, or the Fort Matanzas National Monument. For easy access to all the fun, park your RV at North Beach Camp Resort, where you can enjoy waterfront views and privacy underneath the tall oaks and palmettos. We hope you have a Valentine’s Day is full of love and romance at one of these fantastic destinations. If you plan to travel in your current RV, make sure it’s ready to hit the road by visiting the expert service technicians at Crossroads Trailer Sales. Or, stop by and purchase a new RV that can meet all your travel needs. Call 1-856-697-4497 for all your RVing needs. This entry was posted in RV Lifestyle, Travel Destinations and tagged destination, holiday, romantic, rv park, rv resort, valentine's, valentine's day by admin. Bookmark the permalink.